You know they're controlling everything in the world and you have the evidence to prove it. Well this Illuminati box is the perfect place to store it. It's a 7" x 5" x 1-1/2" (17.8 cm x 12.7 cm x 3.8 cm) cardboard box held shut by a magnetic closure. 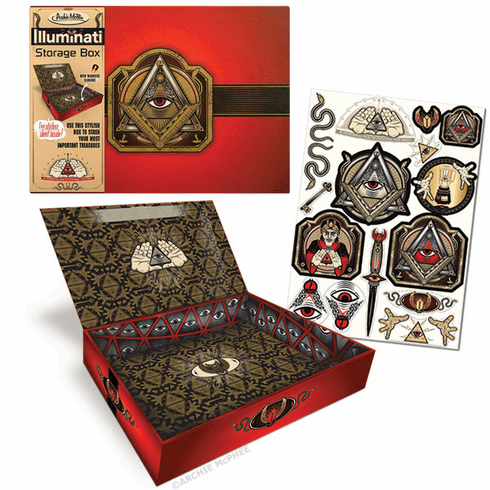 Comes with a free sticker sheet covered with mysterious symbols that explain every conspiracy in the world.